He is not writing or directing this time around. He also confirms he has recorded the first few episodes. More information is coming very soon! Update- Jeff Nimoy mentioned on his Cooking Caveman tumblr in response to a comment what he knew about other cast members potentially returning. Based on this it appears they are trying to mirror what was done for the casting in the Japanese version of tri. Thanks to Hagaren for pointing this out. As for what actors who played the Digimon themselves might not be returning... Laura Summer as Patamon would be an obvious guess since she had been replaced in movie 4 by Bridget Hoffman. Update- Thanks to ANN for confirming. 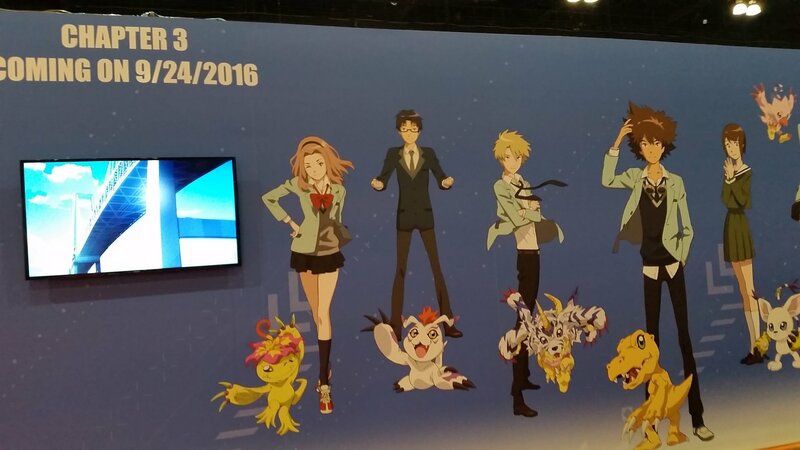 Toei and Eleven Arts will be distributing Digimon Adventure tri. part 1's English Dub in the USA in actual theaters. So get excited Digimon fans! In September they will be doing screenings via Fathom for 2 days in 300 cities. Update- Eleven Arts/Toei made a mistake in their press release, it will be ONE night, September 15th. Eleven Arts is a small theatrical distribution company that has done theatrical distribution for various American anime companies in recent years. Update- For those curious, the press release info mentions Toei producing dub, in addition it mentions the name Tai, and the terms DigiDestined and Digivolve. Leading Los Angeles based Film Distribution Company ELEVEN ARTS and Toei Animation announced today that they will release the English language version of internationally acclaimed anime film Digimon Adventure tri. - Chapter 1: Reunion. 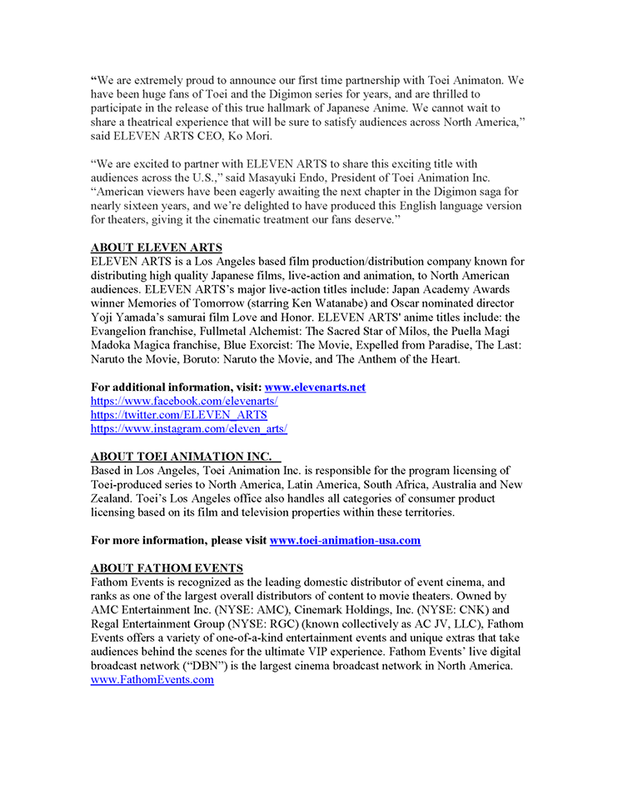 ELEVEN ARTS and Toei Animation plan a two-day Fathom Events series screening in 300+ US cities in September, followed by a traditional multi-city national theatrical release in major cities in October, 2016. Digimon Adventure tri. is a Japanese action-adventure anime film series produced by Toei Animation. Digimon Adventure tri. - Chapter 1: Reunion is the first English language feature film in the wildly popular series, which has not yet been released to American audiences. This release marks the first DIGIMON English film to be released in the US since 2000 and has delighted audiences in its native Japan. "We are extremely proud to announce our first time partnership with Toei Animaton. We have been huge fans of Toei and the Digimon series for years, and are thrilled to participate in the release of this true hallmark of Japanese Anime. We cannot wait to share a theatrical experience that will be sure to satisfy audiences across North America," said ELEVEN ARTS CEO Ko Mori. 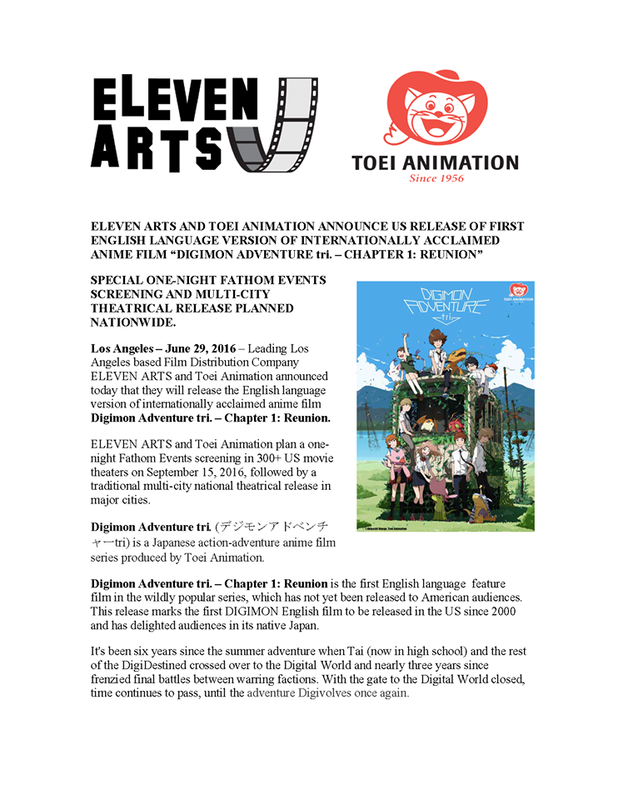 "We are excited to partner with ELEVEN ARTS to share this exciting title with audiences across the U.S.," said Masayuki Endo, President of Toei Animation Inc. "American viewers have been eagerly awaiting the next chapter in the Digimon saga for nearly sixteen years, and we're delighted to have produced this English language version for theaters, giving it the cinematic treatment our fans deserve." ABOUT ELEVEN ARTS ELEVEN ARTS is a Los Angeles based film production/distribution company known for distributing high quality Japanese films, live-action and animation, to North American audiences. ELEVEN ARTS's major live-action titles include: Japan Academy Awards winner Memories of Tomorrow (starring Ken Watanabe) and Oscar nominated director Yoji Yamada's samurai film Love and Honor. ELEVEN ARTS' anime titles include: the Evangelion franchise, Fullmetal Alchemist: The Sacred Star of Milos, the Puella Magi Madoka Magica franchise, Blue Exorcist: The Movie, Expelled from Paradise, The Last: Naruto the Movie, Boruto: Naruto the Movie, and The Anthem of the Heart. Also, since some people were curious... the dub is being recorded at Studiopolis. Update- The screenings on Thursday, September 15th will be at 7pm (your local time.) Tickets for the first announced theaters will go up for ordering on Friday, July 29th. Be aware that often Fathom still talks to theaters after tickets go up, so if a theater isn't announced as being near you, keep checking. Update- Laura Summer has confirmed she will be back as Patamon after not being Patamon in movie 4. Thanks to dominicgv for the heads up. He's also been retweeting people and looking to have a lot of fun with it. Update- Some more cast updates. Thanks to Jeff Nimoy posting on his anime blog/tumblr we know a few more voices now. Mona Marshall is back as Izzy. Colleen O’Shaughnessy is back as Sora. Johnny Yong Bosch is playing TK. TKs actor from 02, Doug Erholtz, is playing a recurring role. Also, thanks to her Twitter, we can probably safely guess that Lara Jill Miller is NOT returning as Kari. Edit- Removed the links to the various Jeff Nimoy pages. As our friends at Digimon World Tour pointed out, they've all been taken down, so all the links were dead anyways. Also, removed the link to Laura Summer's page as her comment about being back as Patamon has vanished also. Update- According to an email conversation between Joshua Seth and OASG, Joshua Seth is the midst of talks about him potentially returning as Tai. So it appears they may be recording with people they have for sure as the schedule allows, while still talking to some actors to record later. This info also makes me want to take another look at what Lara Jill Miller said... is she not coming back? Or does she just not know anything yet? Knowing that the entire cast isn't hired yet potentially gives a different context to her statement. Update- There are reports that Toei is showing a trailer at their AX booth using the American Digimon theme. Thanks to Kivat_III. Update- Michael Reisz has commented on his Twitter and it sounds like that he hasn't been contacted about being Matt. Thanks to C-MC for pointing this out to us. Update Again- Removed the Youtube trailer and tossed up a much better (especially audiowise) trailer from our friend lizmet. 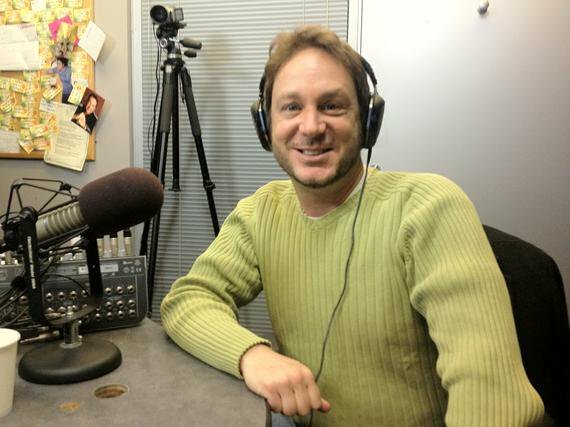 Update- Todd Haberkorn in an interview with Geekish Cast mentioned that he has just recorded for Digimon. Timing wise this is certainly for the Digimon Adventure tri. dub. Thanks to hika for this tidbit. He has to many prior anime roles to list, but he played Puppetmon in Digimon Fusion. 2 cast lists floating around that based on talking to people CAN'T be right... at least not 100%... but it's worth mentioning both of these had Todd Haberkorn as Joe. At least one of these lists also suggests that Johnny Yong Bosch playing TK may have been a mistake on Jeff Nimoy's part, and that he may be playing Matt, with Doug Erholtz back as TK (Tentomon only has roughly half a dozen lines in tri. part 1, it's possible that with the new designs he mistook one character for the other.) The second list showed Bosch as TK and Erholtz as Daigo and Reisz returning as Matt. Both of these lists also mention Bridget Hoffman as Patamon, which based on Patamon's original actor confirming she was coming back (in a now deleted Facebook post) seems unlikely. I have no specific info suggestion these lists are right, but with a handful of details popping out that are close to these lists, thought it was worth mentioning at the very least. So huge asterisk on all of these elements. Most of the first list is posted at IMDB (anyone can make changes at IMDB for clarification.) The second list hasn't appeared in public yet... I suspect both lists are by someone who knows 'some' of the cast, and is just trying to fill in details at random. Update- It appears some of the cast have been told it's ok to talk about it again. Jeff Nimoy has made a post on his anime blog and Colleen O'Shaughnessy has posted about it on Twitter along with a photo of the top of the script. Great to hear! I've been waiting on confirmation of a dub and it's nice to know they're getting at least one of the old voices back. Look forward to hearing more. 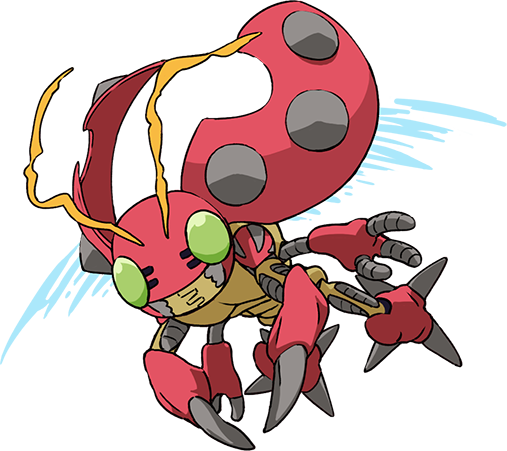 On the subject, can I just say I really liked his Tentomon voice? Mainly because it's nice to have a dub of a Kansai-accented character that doesn't go for the cliched cowboy voice; the slightly nebbish voice suited him pretty well in my opinion. That's really cool news, glad to have a long time veteran of Digimon back in the series. Even though I'm not a huge fan of the Digimon dubs, I always thought the movies themselves were handled pretty well so looking forward to seeing Tri dubbed soon!!! The voice actor for Tai said he would've loved to come back for the crossover in Hunters, so this might also be true for Tri so I'd keep an eye out for him. Joshua Seth, please. Hopefully they reached out to him as he said he was more than willing to come back. Please, hearing him as Tai again will probably tear me up. I'm glad he's back as Tento and this is perfect! Definitely exciting news. I wonder if this was the top secret project that Colleen O'Shaughnessey and Stephenie Sheh mentioned on twitter? Probably not, but I know Sheh's a big fan of the series so it was just in the back of my mind. Curious as to whether it'll be dubbed with a similar tone as the original, being aimed more at longtime older fans, or if it'll dubbed more like how all the past dubs were dubbed, being aimed at children and therefore made sillier. Though, I dread to see what they do with Mimi, given how her personality was changed from the original for the dubs of Adventure and Zero Two, and if she'll be dubbed consistent to that portrayal. It would certainly be the first time his voice would sound age appropriate for the character. On the bright side, they wouldn't have to work as hard this time to turn Koshiro into a nerd stereotype.